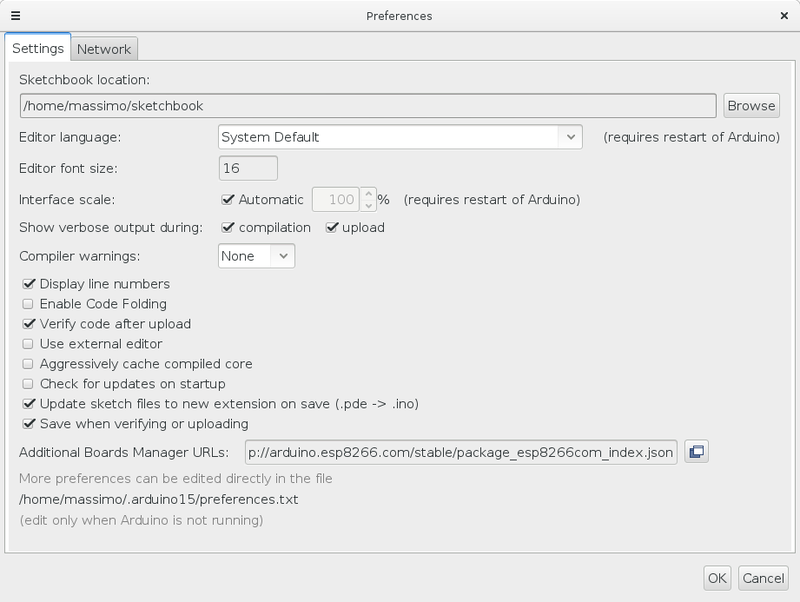 What are Arduino IDE Packages ? Arduino IDE is an extensible development environment; being born for few Arduino boards, it has been extended to support more and more boards. As supporting ALL available boards inside the application was found almost impossible, IDE programmers found a modular solution, consisting in a sort of "container", able to support only the most common boards, plus some additional packages that extends its functionalities to other boards. In time more and more packages were created, supporting also non-arduino items like, for example, the ESP8266 boards. Do I need to install Arduino Ide packages for Fishino boards ? Fishino 8 bit boards (Fishino UNO, MEGA and Guppy) are 100% compatible with their Arduino counterparts (Arduino UNO, Mega and Nano); if you just want to use the boards as so, you don't need to install the package. Of course, if you don't, you'll miss some additional features, mostrly the OTA (Over The Air) programming. Without the package, you'll not be able to upload your sketches vis WiFi. On the contrary, Fishino32 and the forthcoming 32 bit Fishino Piranha DO NEED an IDE package to be programmed. Their hardware is totally different from Arduino standard boards, so they can't be programmed with the IDE without additional packages. Near the end you'll find 2 packages with names starting with "fishino", one for 8 bit boards (fishino_avr) and the other one for 32 bit boards (fishino_pic32); just select the one you need and press the install button that will show on the right side. Installation process can last some minutes, depending on package, network speed and other factors. You can even choose different package versions on a droplist near the install button; just choose the last one, if you don't want to use a previous version for testing purposes. That's all! 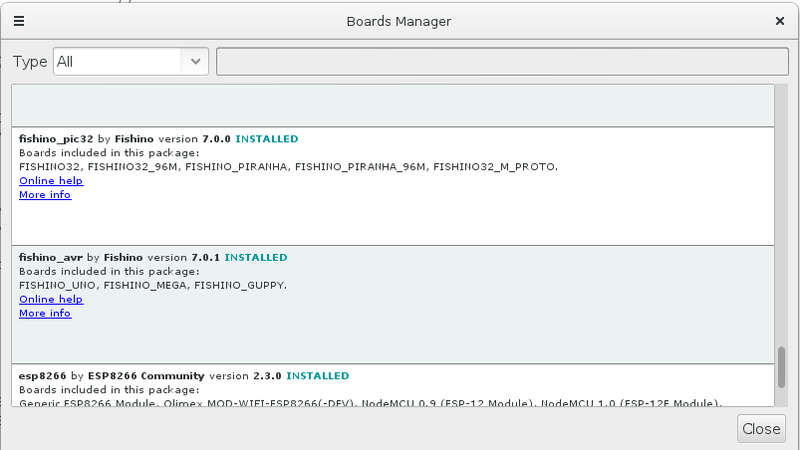 From now, in your Board menu you'll find, near the end, all the Fishino boards!